The CW has released a first look trailer for its upcoming series Black Lightning, set to debut his fall as part of the channel’s 2017-2018 TV season. 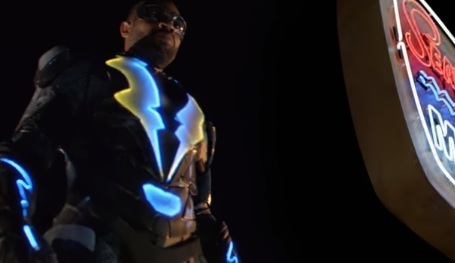 Created by Salim Akil and Mara Brock Akil, the new show revolves around Black Lightening (played by Cress Williams), one of DC’s first black superheroes, whose power is based in electricity. The trailer reveals that he was a savior who kept the city streets and schools safe for years until one night, in 2005, when he decided to retire. As Jefferson Pierce, he became a high school principal and dedicated his spare time to his two daughters. But every choice has a cost and in this case, the cost translated into a high crime rate. In 2017, when the whole city was ready to explode and, on the top of that, one of his girls is threatened, he returns to crime fighting. “A retired hero will rise again. Justice walks like thunder, strikes like lightening, and runs in the family” – is the message conveyed in the trailer, which features the songs “Walk That Line” by Lucinda Barry and “Vertigo” by Raphael Lake. The series stars also Christine Adams, China Anne McClain, Nafessa Williams, Kwajalyn Brown, Tim J. Smith, and others.